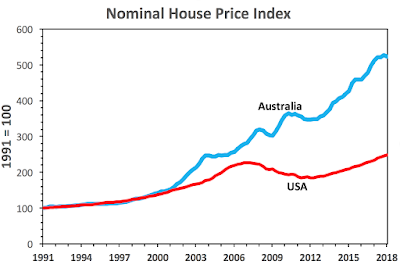 Macro Musings Blog: Will Australia Be the First Country to Try NGDPLT? 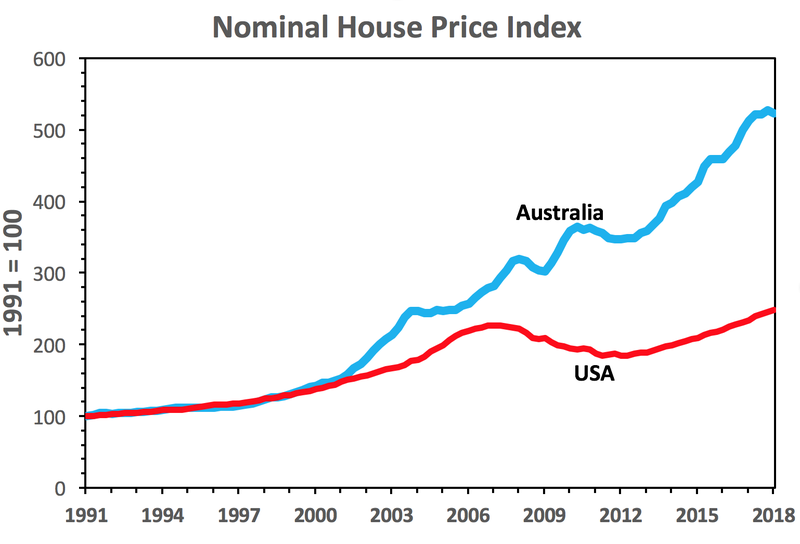 When you look at Australian housing prices, and ponder property zoning and capital inflows, do you not get the slightest quiver? 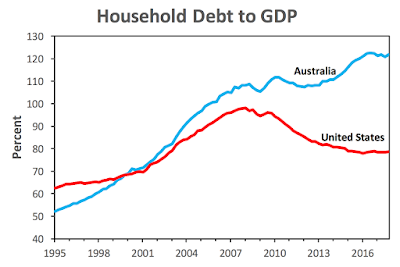 The RBA went "off track" when it started worrying about asset (house) prices and household debt. Many thanks for your informative and intresting blog. I fully agree that NGDPLT may make sense for an economy like Australia to attain its internal balance. However, can the NGDPLT for Australia attain its external balance at the same time? I wonder if the economy may now be facing an unsustainable growth path with too large current account deficits. - Nonsense. Assuming that NGDPLT has helped Australia shows that Beckworth hasn't got the faintest clue how the banking system works. Australians simply have borrowed "their brains out" to avoid a "Great Recession". 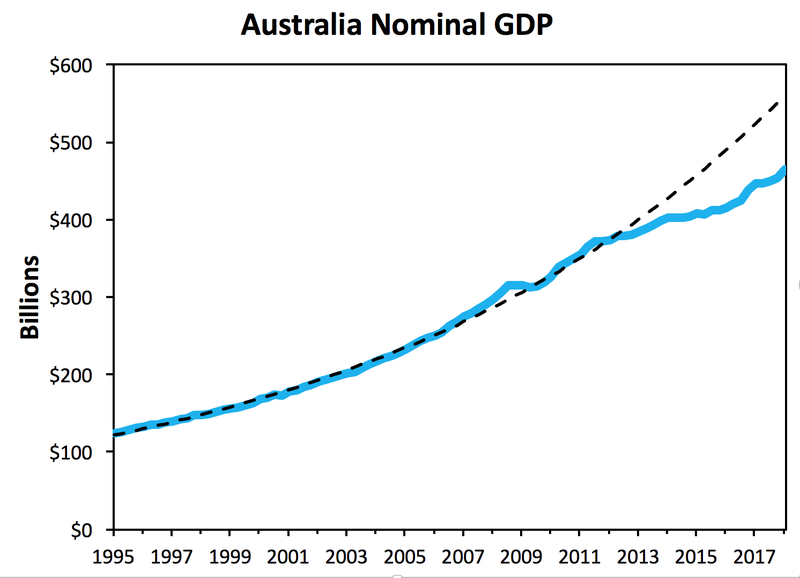 That was one of the ways GDP was "rescued" in Australia. 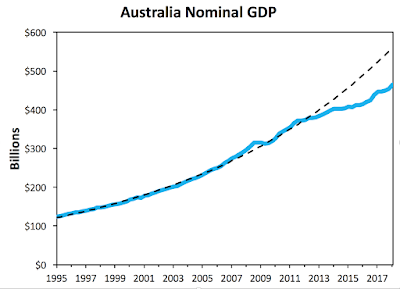 - If Beckworth would have dug deeper into the australian data then he would have seen that while GDP kept growing wages remained - more or less - flat since the year say 2000. The growing gap between spending and income was filled with borrowed money (especially for speculation with houses). - But now Australia is already some 12 months into a (severe ?) credit crunch. In a few suburbs of Sydney home prices already have come down some 22%. I have not followed latest developments in Australia. Your comment is however very interesting and makes sense to me.